This is a funny, charming film about the brief marriage of Jean-Luc Godard and the late Anne Wiazemsky, directed by Michel Hazanavicius (2011’s Oscar-winning “The Artist.”) It has been renamed “Godard Mon Amour” for the US release (late April in NYC). A remarkable pastiche, Godard fans will love the numerous homages to his films as well as the ironic use of soundtracks from them to cue certain scenes. 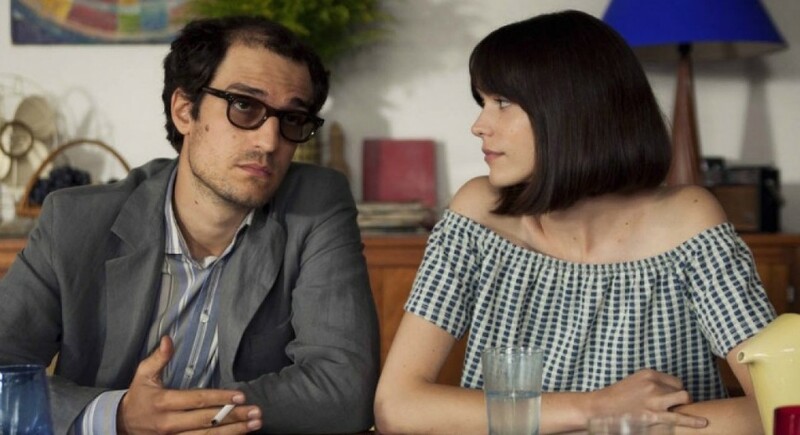 Louis Garrel (who is excellent) looks and sounds just like Godard. Stacy Martin resembles Anna Karina (Godard’s first wife) more than she does Wiazemsky (whose book the film is based on). This choice informs the many scenes inspired by pre-’68 Godard classics and suggests that his attraction to Wiazemsky may have mirrored his own evolving artistic obsessions. Martin’s performance is sublime. No one ever said Godard was a nice person and he is depicted at his most petulant here, insulting fans who (in a nod to “Stardust Memories”) wish he would make light, comedic films again. Portraying Godard and his May ’68 politicization as the necessary and self-willed destruction of an art hero (“the death of that Godard”) lends the film an unavoidable sourness, though, and serious Godard fans will feel obligated to tell their less informed friends that Jean-Luc is much, much more than a narcissistic jerk (he is often that, to be sure), and continued to make important films for fifty years (and that’s right–this May is the 50th anniversary of the events of this film!) and is still alive and working. A must-see for Godard fans. Opens April 20 at the Quad Cinema in Manhattan.